Barberia Salon has been keeping the Bay Area beautiful for more than 30 years. As a small, family owned local business, we focus on providing exceptional hair services to the Peninsula community in the San Francisco Bay Area. Owner and CEO Terry DeMarco began his career working for his father as a Barber, but his passion for color led him to work at his Uncle’s salon where he developed skills in all salon services. He saw that clients craved a high-end, full service salon experience that catered to both men and women, so in 1977, Terry decided to branch out and open a salon of his own – one where he could pursue his passion for hair color. Barberia Salon was originally located in San Bruno but quickly moved to Foster City, in order to be a part of the developing community. Edgewater Place was opening, and promised to be a large, beautiful shopping center with a boardwalk and access to the town’s lagoon, so Terry jumped at the opportunity to design an intimate and personalized salon experience amidst this new shopping center. Our stylists are highly trained in the latest techniques and trends and receive continual education from industry leaders. A curated team of professional hairdressers possess exemplary skills, have undergone our reputable advanced training program, and are like-minded in their passion to produce exceptional work. We feel this is why Barberia Salon has been honored with many awards over the years. Most recently Barberia Salon was voted to the top of the Bay Area A-List for 2014 and 2015, which we were thrilled to receive. We are also proud to note that our team of 19 has impressive personal credentials, five of which have elite status as members of the American Board of Certified Hair Colorists. In addition, the work of our stylists can be seen in magazines such as Modern Salon, Haircut and Style, Allure, and many more. 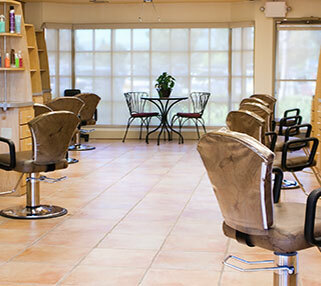 This technical expertise, combined with a friendly experience, in a bright, airy salon space makes Barberia Salon the preeminent hair specialists in the Bay Area.